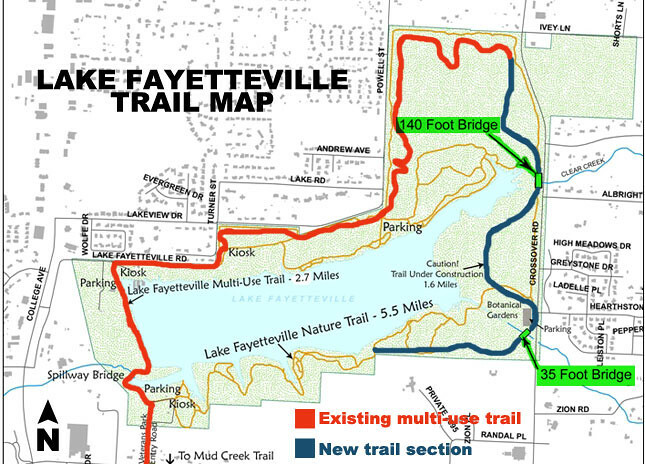 35 The Razorback Greenway will soon be a dedicated bike path connecting Fayetteville to Bella Vista. Completion date is expected to be early 2015. Check out our Trail Photos page.